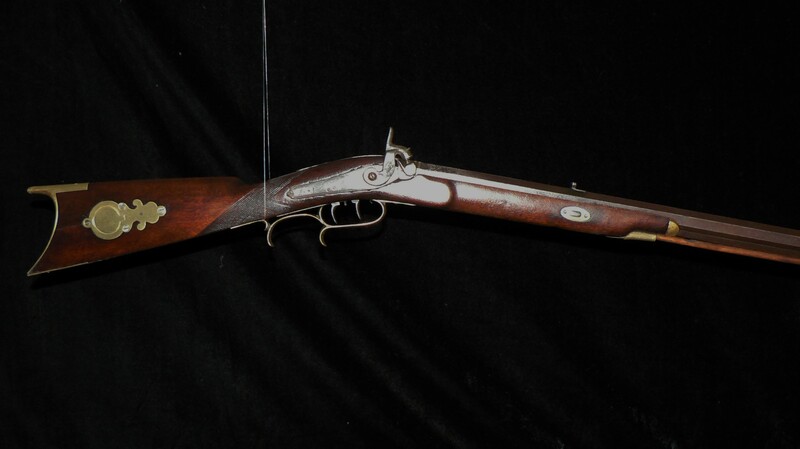 This is a somewhat unusual version of the typical Harder rifle as manufactured in Lock Haven, PA, just prior to the Civil war. 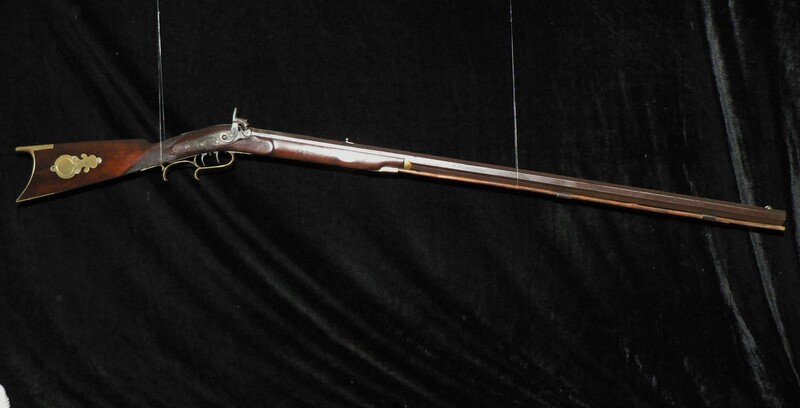 This rifle is in 36 cal. and has an extra-long 38” barrel. The rifling is smooth, but worn, and would probably need to be re-cut to be a shooter. The back action lock and the double set triggers function as designed. The stock carries the typical Harder deer inlay. 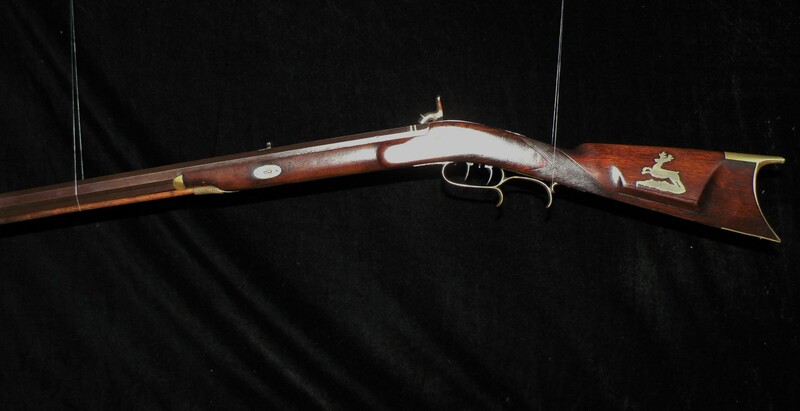 The rifle has had a wrist repair that is very solid and in no way detracts from the gun’s appearance.